We have ONE WEEK to go! And now is the time that I need your help more than ever. 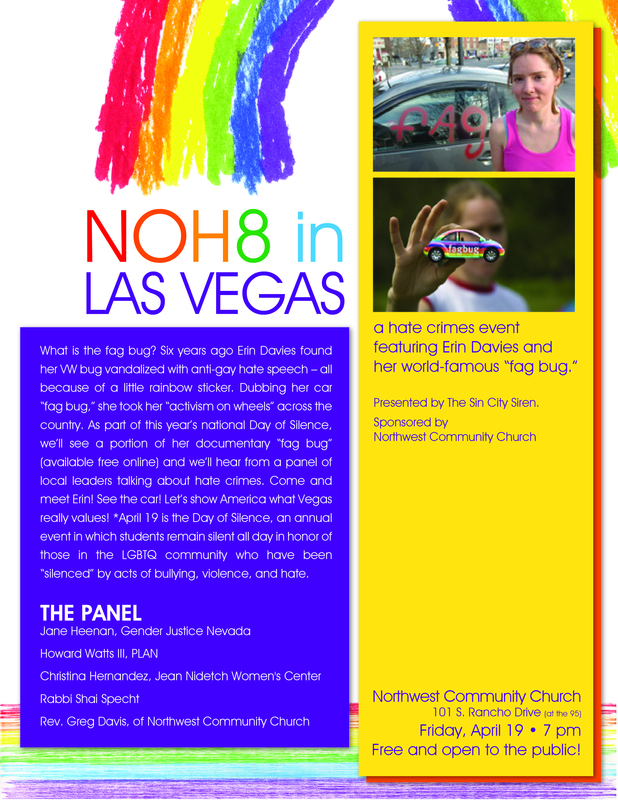 If you would like to volunteer to help out with NOH8LV activities — and there is plenty to do — there will be a volunteer meeting on Saturday, April 13 at 1pm at Northwest Community Church, 101 S. Rancho Drive. Come on by!